Rowan-Cabarrus Community College and other institutions in the North Carolina Community College System operate under an “Open Door” policy. In accordance with the North Carolina Administrative Code, Title 23, Chapter 2(c), Section .0300, the college shall maintain an open-door admissions policy to all applicants who are high school graduates or who are at least 18 years of age. Student admission processing and placement determination shall be performed by the college’s Admissions Office. The degree, diploma, or certificate programs are taught at a level beyond high school. Therefore, a high school diploma or recognized equivalent is usually minimal preparation. If you have not completed high school, the college provides G.E.D. programs through the Pre-College Division. In order to assure that your educational experience will be successful, counselors will assist qualitatively and quantitatively in determining your present academic preparedness for the program you have chosen. 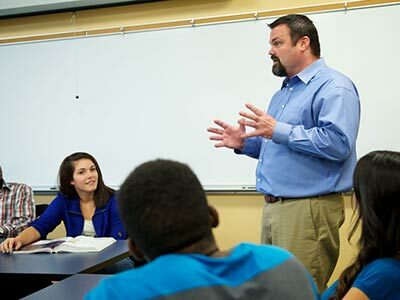 The college uses placement tests, academic records, occupational experience and/or other indicators to determine the student’s preparedness and potential for success. All health programs contain additional admission requirements that must be met before the student is admitted to the program. All admission requirements are listed in the Programs of Study and the on-line catalog updates. If you have not successfully completed all the high school courses you need to succeed in the program of your choice, Rowan-Cabarrus will make the courses available to you. In certain occupational programs, students are enrolled on a space-available basis because laboratory space is limited. Applicants to these programs are encouraged to contact the Student Services Office as soon as possible. High school seniors should apply during their senior year. New students are admitted prior to the start of each semester. Qualified students are accepted during each semester’s registration if space is available. To further assure your success, Rowan-Cabarrus Community College provides a number of services. When you contact the college, you will be provided information about the admission process. Placement testing will determine your academic strengths. If you need to refresh your skills, you will want to take some developmental courses. These courses (designed to improve reading, writing, spelling, mathematics and computer skills) are taught in small classes. Usually, students who take developmental courses will be advised that they can take one or two of their regular program courses at the same time. Students register for developmental courses and pay tuition and fees as with any class. Developmental classes are considered non-credit courses and are not included in the Grade Point Average. Some college courses have satisfactory completion of a related developmental course as a prerequisite. Every prospective student must complete an online Application for Admission. Some courses and training programs are offered through the Rowan-Cabarrus Corporate and Continuing Education department. Some students wish to register for credit courses, but they do not intend to complete a degree, diploma or certificate program. These students are registered as special credit students. They can enroll in classes on a space-available basis and with the approval of their college advisor. Tuition and fees are the same as for regularly-enrolled program students. 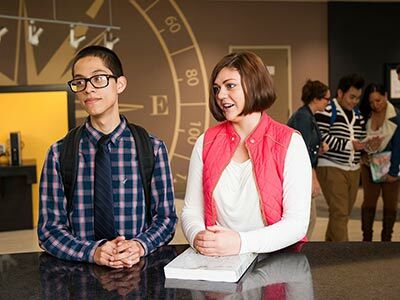 If these students later wish to apply credits earned toward a degree or diploma at RCCC, they must request a change in their status at the Student Success & Service Excellence Office. A change in status must be submitted when the student has earned 18 semester hours (including a college-level English and Math course) as a Special Credit student. The student must meet all the regular admission requirements for specific programs. Special Credit students are not eligible for federal financial aid or for veterans’ benefits. Special Credit students may take up to 18 credit hours of college level courses before declaring a major. Must pay out of state tuition for the coursework selected. Must register at the last hour assuming space is available. Documented students have first priority for seat availability in all curricula. Undocumented students who are public high schools students enrolled in approved college credit programs through Career and College Promise programs are not subject to this NC statute.